I am three and a half years old, in opera years; a veritable toddler. Knowing what I know of actual three and a half year old’s, having raised two of them, I know that toddlers are cute, innocent, reckless, manipulative and at certain times of the day impossible to handle (nothing that a bowl of Cheerio’s and a glass of wine can’t handle.) Mostly a toddler is capable of starry-eyed wonder and this best describes me when I attend an opera. I sit there up in the Family Circle of the Metropolitan Opera with my body squeezed into a seat I swear was designed for steerage on a United Airlines flight from Newark to Cleveland and I wait for my lollypop like a good girl. Even when I get bored and restless (and I do, yes, I do) I leave the opera house anticipating my next return. I’m beginning to wonder if I’m a toddler or a puppy ‘cause puppies put up with a lot more discomfort than any toddler I’ve ever known. So, I sit, as I should, and try not to whine waiting to lap up the delicious mixture of music, song, story and sight about to be offered to me and I like it. I really like it. Even if I don’t always understand it, I like it. I want more and I rarely criticize the hand that feeds me because I have an enormous amount of respect for the hand! I’m committed to learning opera and knowing the people who make opera happen. Public radio station, WQXR, launched Operavore right as I was getting into the art form and I reference the news and information on opera every day. I read and click and read some more. Fred Plotkin is like Uncle Opera to me now and Margaret Juntwait is my regularly scheduled Saturday afternoon play date. During the week I absorb the Operavore web log articles and then get to the dreaded comments section…I really should know better than to read them. I can’t believe the nasty, hateful, divisive comments many people post about something they love so much. It’s as if their opinions are more precious than the art. The snarky remarks about this performer or that director or the whole “opera’s dead” thing designed to write off an entire industry is, in my humble opinion, dog poop. Sure, you can say; “Well she doesn’t know anything. She didn’t even see Luciano Pavarotti in the Park!” (Actually, I did, before there was grass on the great lawn) but that’s for another time. I understand opera is filled with divas, but the audience need not be one of them. My point is…I wish everyone would stuff their opinions in their back pocket and beaded hand bags and simply experience the opera in the here and now. Just once I wish everyone arrived as if it was their first time; a house full of opera virgins all dressed up and eagerly anticipating that initial taste of passion and abandon. Imagine what the performers would do if they knew everyone paying to be there was hanging on their every note in starry-eyed wonder. The pressure would still be on and I believe would drive an artist on to new heights: the pressure to provide the very foundation of love for this art form. Can we organize that – just for one time? Yeah, I didn’t think so. So just do me this one favor then, stop hating on the people who produce opera. Honor them, support them, give constructive criticism (by all means) and give them the means to keep creating. Quit griping at the wind and polluting the sweet air for those of us who are currently breathing it in. I’m enjoying myself over here and you don’t want to make a toddler cry (or a puppy whimper.) Teach me, guide me, help open my ears and heart to the depths of the possibilities waiting for me in any given opera. 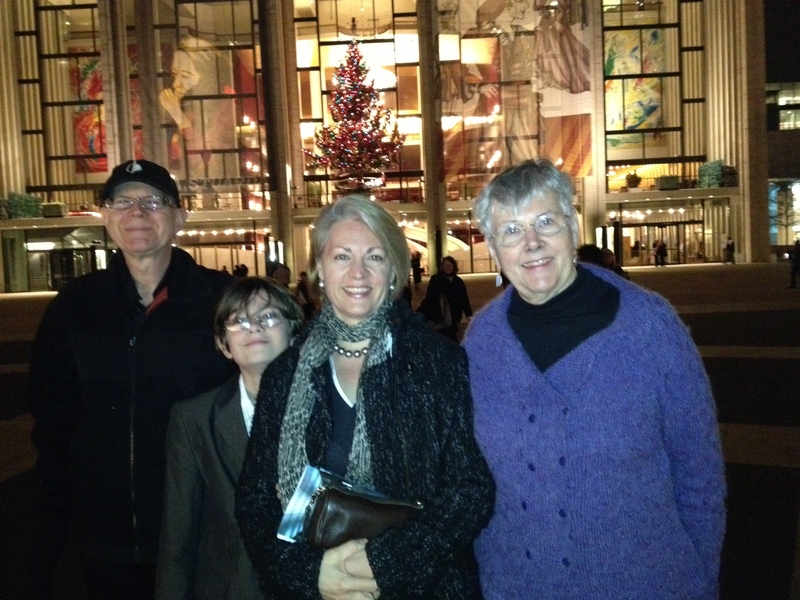 Every time I attend the opera there’s a chance for transformation. Every recording I listen to and every libretto I study furthers my love and understanding of this complex and holographic expression of the human experience. Share with me your stories; the moments of awe and life altering arias that took your breath away and returned you to your seat a different person. Remember the glories of the past and look to the future for fresh stories to share. As a new comer to opera – that is the audience I want to be sitting in. Now, time for my nap.